A limited edition cloth-bound hardback, with your name printed in the back as a patron plus access to exclusive content and updates. A signed and hand-numbered limited edition hardback, with your name printed in the back as a patron plus access to exclusive content and updates. A signed and hand-numbered limited edition hardback, with a limited numbered giclée digital print (A4) of one of 4 illustrations from the book on 310 gsm art paper (choose A, B, C, D). A signed and hand-numbered limited edition hardback, with one of 12 original illustrations (A5, unframed) from the book. A signed and hand-numbered limited edition hardback, with one of 12 original illustrations (A4, unframed) from the book. A signed and hand-numbered limited edition hardback, in a linen presentation box, with all four limited, numbered giclée digital prints (A4) of on 310 gsm art paper. A signed and hand-numbered limited edition hardback, a piece of original artwork and a full day one-to-one writing workshop with Paul. 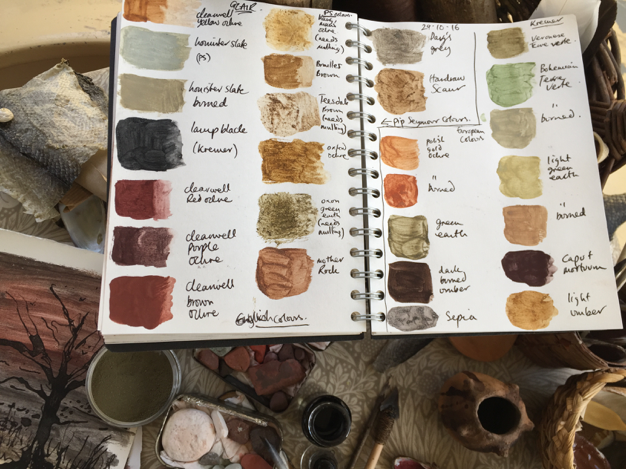 A signed and hand-numbered limited edition hardback, a piece of original artwork and a full day one-to-one workshop with Caroline, learning how to make and use traditional materials. This will include the deluxe skin bound copy, 5 signed hardbacks, their name as Patron in the front of the book, alongside a day at the Euphoria with the illustrator Caroline Ross to receive a portrait of them from life using the archaic materials. They would receive this work once framed at a later date, by arrangement. In 2014, The Wake, Paul Kingsnorth’s novel set in the aftermath of the Norman invasion of 1066, was longlisted for the Man Booker prize, shortlisted for the Goldsmith’s Prize and won the Gordon Burn Award. It established Paul Kingsnorth as one of the most interesting and challenging contemporary British novelists, and is now well on its way to becoming a modern classic. Mark Rylance has optioned the film rights, with a view to playing the main character, Buccmaster. The planned illustrated edition is a collaboration between Paul and Caroline Ross. 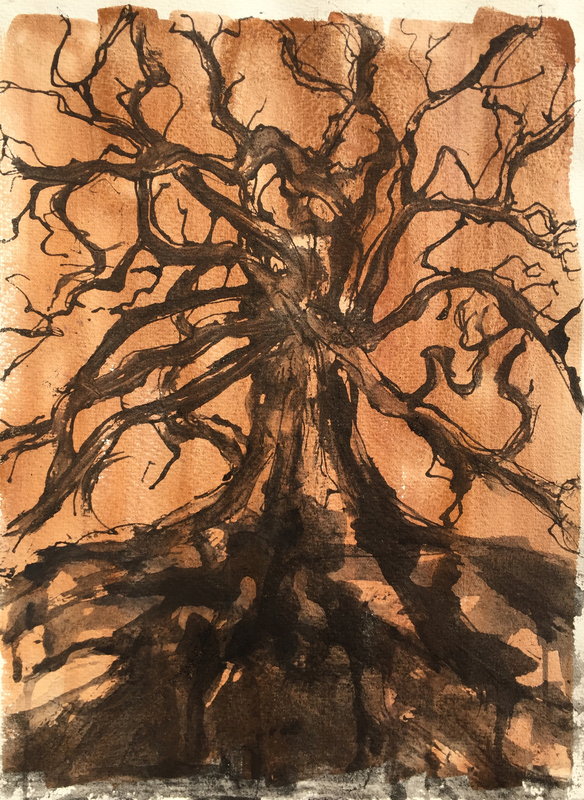 Caroline is an artist who uses traditional materials and methods. She responded to Paul’s story, but was also inspired by his invention of a ‘shadow tongue’ – a language that is neither Old English nor modern English – to add authenticity to his narrative. The result is 35 coloured drawings inspired by the story, using only materials that were available in pre-Conquest England. 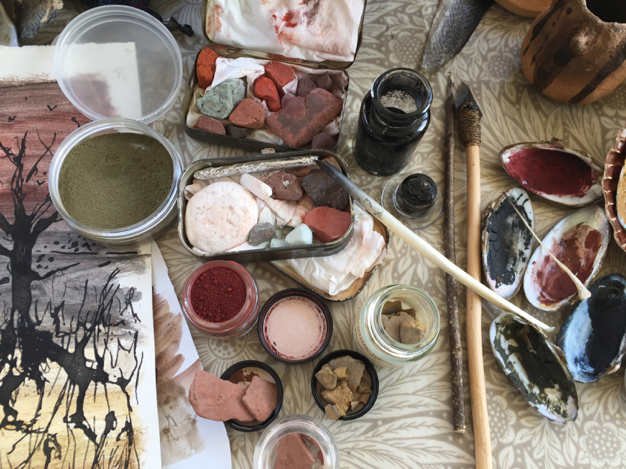 These include iron gall ink (made from boiling oak galls and rusty nails), wild cherry tree gum, charcoal, chalk, extracts of woad (blue), rose madder (pink) and ground malachite (green). More information about Caroline’s methods and some of the finished illustrations are in the Extract section below. 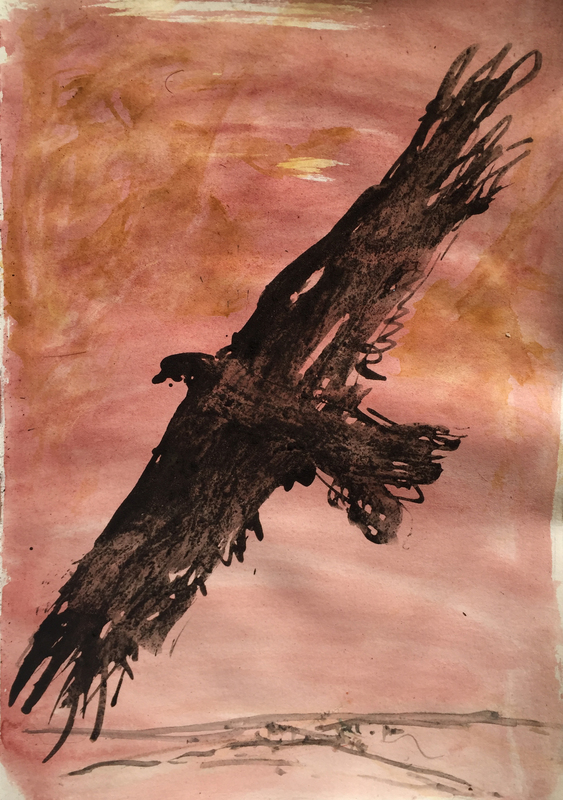 With your support, we plan to produce a beautiful new edition combining the full text of the novel, plus Caroline’s illustrations and an essay on the techniques and materials she used to make them. They will be reproduced in full colour and printed on 120gsm Munken Natural paper, folded, gathered and sewn and bound in cloth in limited edition of 750 copies. 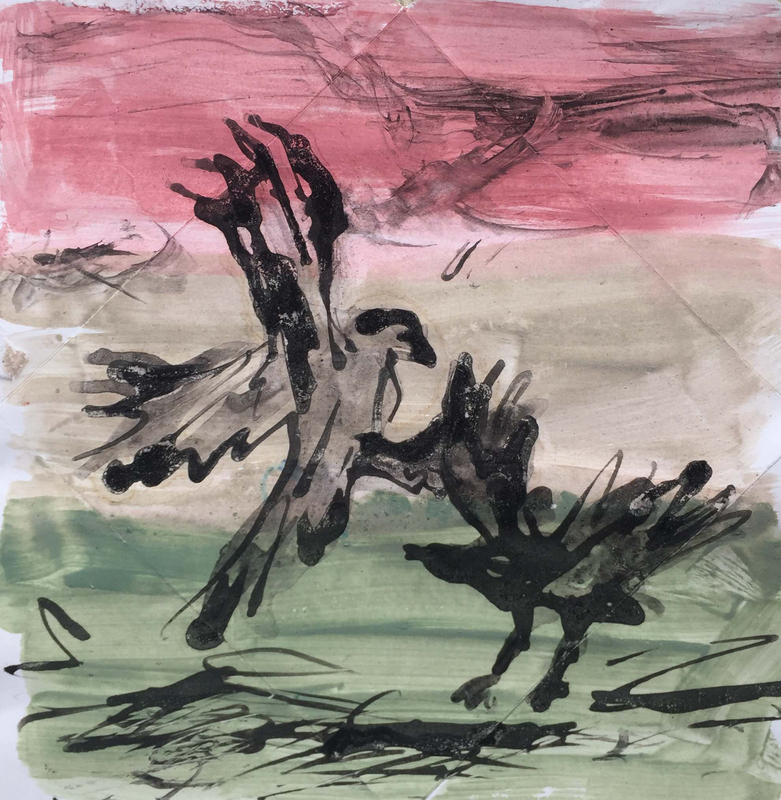 Caroline Ross was born in Dorset and studied art at Shelley Park in Bournemouth, followed by a BA in Fine Art at Kingston University, and an MA in Painting at Chelsea College of Art. Like many former art students, she formed a band (Delicate AWOL, then Tells) and for the next decade toured and recorded all over the UK, Europe and North America. She recorded albums with Rothko and Susumu Yokota, as well as tracks with Mojage and Mountain Men Anonymous, amongst others. Between 1996 and 2016 she kept her visual art private, whilst concentrating on drawing with traditional means. Her regular drawing practice is based around using tools and colours simply made from natural materials which do not harm the environment. She began learning T'ai Chi Ch'uan in 1986 and founded Great River T'ai Chi School in 2002, where she still teaches in London, Scotland and Sweden. Find out more about Caroline here. Paul is the author of two political travel books. The first, One No Many Yeses (2003), was an exploration of the world’s anti-capitalist movements, which is starting to look rather prescient these days. The second, Real England (2008) was an account of a journey through a nation losing its identity to the forces of placeless globalisation, and my meetings with people working to turn the tide. In 2009, he co-founded the Dark Mountain Project, of which he is the director. They are a movement of writers, artists, thinkers and doers who are seeking new stories for a world in turmoil. They produce an annual anthology of 'uncivilised writing', hold a yearly festival and are curating a growing global network of interesting artistic outsiders. In 2011, Paul's first collection of poetry, Kidland, was published by Salmon. The Wake was his first published novel. If you’d like to know more about Paul and his work, his website is here. In 2015 I bought a copy of The Wake some time after reading a good review in the Guardian newspaper. Once the book made its way to the top of my reading pile I spent the next few days completely immersed and greatly moved, so much so that I took the unaccustomed step of looking up the author online then writing to thank Paul Kingsnorth. The book stirred something that seemed ancient in me, and the 'shadow-tongue' Paul created to tell his story spoke to me deeply. I loved working to make sense of the text, being forced to read it aloud, having to bring my imagination not just to the story, but to the startling means by which it was being told. At the Dark Mountain Base Camp festival in Devon in September 2016 I took my basket of hand made art materials out for the first time, thinking I might make some sketches of the people I met. I did not anticipate the warm reception these strange objects would receive. 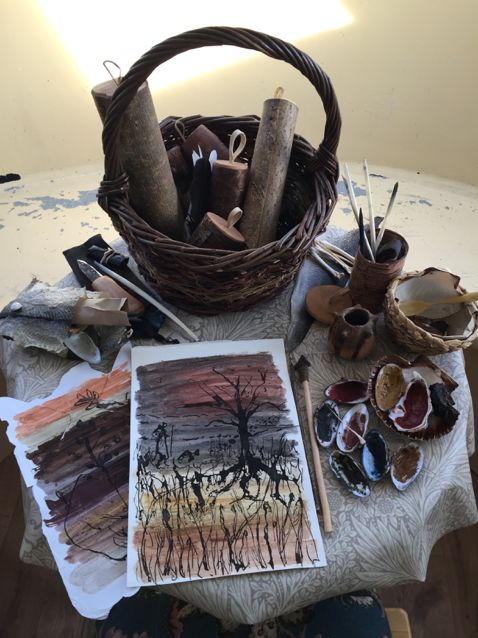 When Paul encountered the materials he declared them a 'shadow-making-basket' and asked me to make drawings for an upcoming illustrated version of his book with Unbound. Of course I said yes. 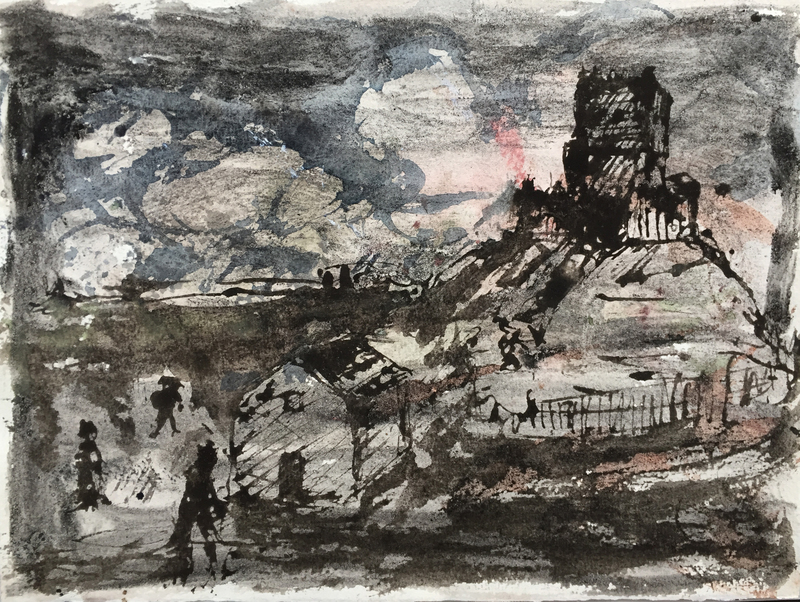 Although I trained as a painter, my natural inclination is towards making drawings as works in their own right, or as in this case, as illustrations for a text. I wanted to evoke the landscapes and events of the tale, rather than depict specific scenes. The materials themselves led me to a new way of working: looseness and vitality of mark being far more important than detail or ease of reading the image. I'm attempting to make the viewer feel as I did when I read the first few pages of The Wake: to have to look and re-look. I wanted to do most of the work of making the image readable, but leave plenty for the reader to do. The means by which these drawings were made came out of the stories, language and imagery in the book. It made me ask myself: what of the old ways should be kept, and what overturned? In art, in life, in custom, the question is as relevant. What seems on one hand primitive or coarse may be on the other hand direct and full of meaning. I am not interested in creating an elaborate re-enactment of a past era which is unknowable. I am however completely intrigued by what can be conveyed using the simple means and materials contained in my still evolving shadow-making-basket. Caro Ross answered a question on The Illustrated Wake. These people are helping to fund The Illustrated Wake. I am wondering about the writing session: specifically, where would/could it take place, and is there a time frame within which it must occur? 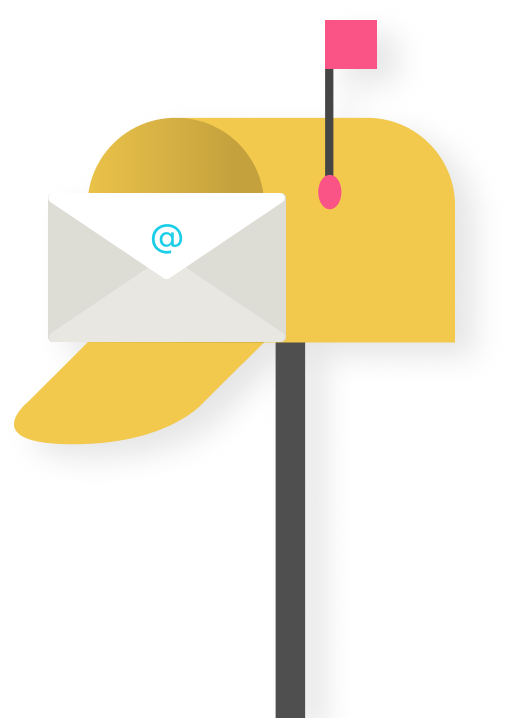 Hi Brian, I will forward this to Paul and get back to you with the answer. Best wishes to you, Caro.